The world’s leading cloud-based mobile ordering solution providers wi-Q Technologies and leading five-star destination resort, Atlantis, The Palm have taken the title for Best Use of Technology at The Middle East Hospitality Awards. Atlantis, The Palm and wi-Q Technologies launched the ambitious project in February 2017 and to date have seen exceedingly successful results. 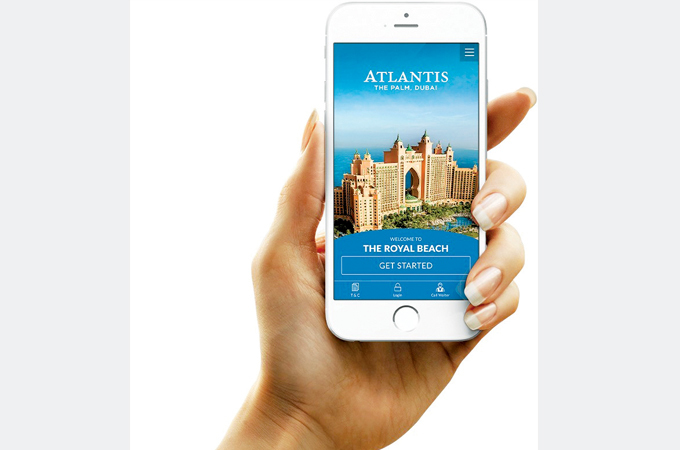 The site allows Atlantis guests to browse the pool and beach food and beverage offering via their browser and order at the click of a button. Instead of downloading an application, guests can log onto the app via any Internet browser in their preferred language, order from a vast menu and pay via cash, card or charge to their room. Additional functions allow guests to call a waiter, track the progress of their order and provide dietary requirements to the Atlantis team. To date this has seen increasingly successful results, receiving thousands of orders since launch and tracking a steady rise in the numbers of orders per day as guests familiarise themselves with the mobile ordering process. With trending orders leading towards soft drinks, water and children’s meals such as chicken tenders to date, the process has secured into the thousands of dirhams in terms of incremental revenue, with incremental spend also increasing day by day. Atlantis reported an occupancy rate 93 per cent on average, with an 11 per cent increase year on year in the first five months of 2017.